It’s an online Bookings Manager. It’s a Property Manager. It’s the future of allotment ownership! To your customers, Wotusee is a wonderful new window into an exclusive world of ‘one-of-a-kind, ‘Stay unique’ properties just like yours. For you, as a property owner, Wotusee is that and much, much more. On one level Wotusee is a highly-flexible, easy-to-use ‘Bookings Manager’ that enables you promote your property across multiple websites simultaneously in real time. When your property sells on one site, all the other sites are automatically updated to say the property is no longer available. 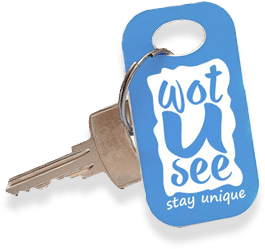 With Wotusee you can provide the same or different rates (including hot deals and other special offers) on the one property to different suppliers. And because your property is always available to your customers in real time, the number of "enquiries" is dramatically reduced. (Currently, if you want to be visible on more than one website, you can only have your property available on one of those sites. The other listings are "enquiry only"). As a ‘Bookings Manager’ Wotusee also lets you control the entire booking process in a single place. Wotusee automatically feeds you all the important reporting statistics you need regarding length of stay, number of nights, number of bookings compared to last year and what channels are providing the most bookings. And because Wotusee’s Bookings Management software links seamlessly with accounting software such as Zero and MYOB, your accountant is instantly updated on every financial transaction.